Arab leaders, long divided by regional rivalries, condemned on Sunday a U.S. decision to recognize Israel’s sovereignty over the Golan Heights and said Middle East stability depended on creating a Palestinian state. 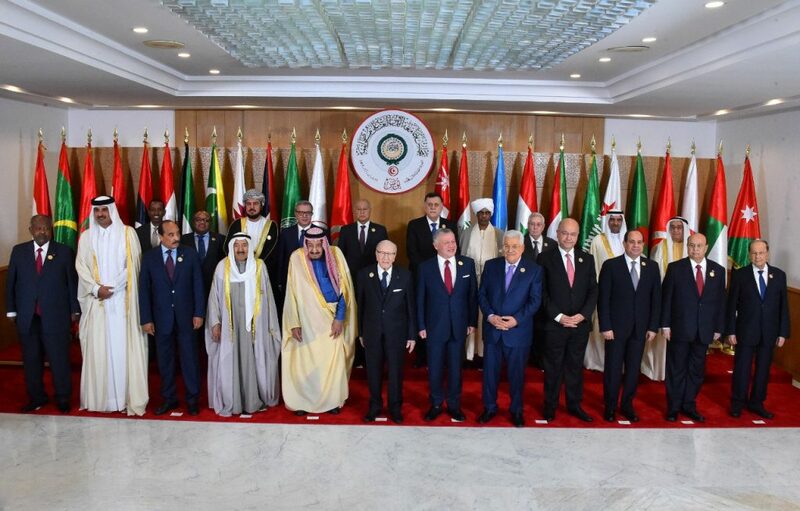 Arab leaders, gathering at a summit in Tunis, have been under popular pressure to reject Washington’s action, while they also grapple with regional differences, including a bitter Gulf Arab dispute, splits over Iran’s regional influence, the war in Yemen and unrest in Algeria and Sudan. But Qatar’s emir left the summit hall shortly after Arab League Secretary-General Ahmed Aboul Gheit praised the way Saudi Arabia handled its rotating Arab League presidency last year, live footage showed. King Salman, whose country has long vied with Iran for influence, called for confronting what he called the “aggressive policies of the Iranian regime.” He said Iran was interfering in Arab affairs, a charge Tehran dismisses. Syria’s seat at the summit was vacant. Damascus has been suspended from the League since 2011 over its crackdown on protesters at the start of its civil war. The League has said no consensus has yet been reached to allow Syria’s reinstatement.